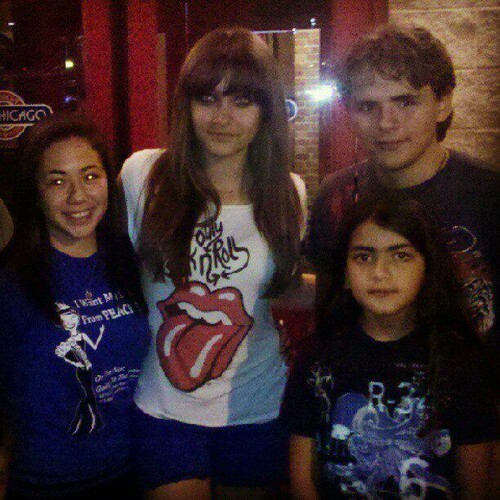 Paris Jackson, Prince Jackson and Blanket Jackson with a fan in Gary, Indiana August 2012 ♥♥. . Wallpaper and background images in the Prince Michael Jackson club. This Prince Michael Jackson photo contains jersey, t shirt, and tee shirt.